Customer satisfaction is important, but it's loyalty you're after! 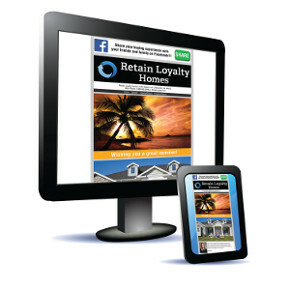 Use Retain to cultivate effective client loyalty, generate referrals and increase sales. Uniquely show appreciation for their business. Build relationships by staying in contact. Reward them for their patronage. Ignite word of mouth promotion. High quality products and digital solutions. Market friends and family with Just Moved cards. Snap a picture of your client's home with the Retain mobile app. 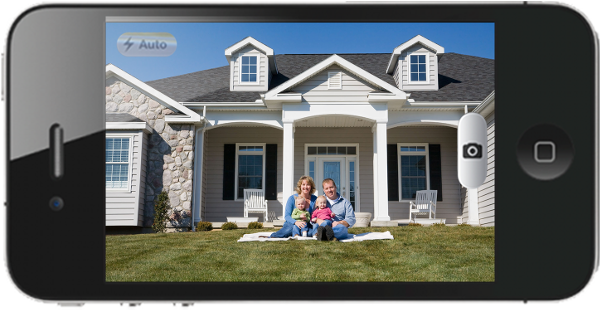 Capture your client's new home on your Apple or Android Device. Start building a photo database for effective personalized follow-up. We turn your client's photo and data into an array of high quality products and services that are designed to maximize client loyalty, generate return business and ignite word-of-mouth advertising. Surprise your clients with a personalized thank you gift, Just Moved postcards and touch point cards for years to come. Contact them on any special occasion, holiday or season of the year. Stay in touch with your clients for life using our Digital Follow-up Program with customized messages. This follow-up is integrated with Facebook and all of the popular rating sites, allowing clients to share the photo of their new home with friends & family and also post positive reviews for you. Use these to promote yourself to your client's immediate friends and family. 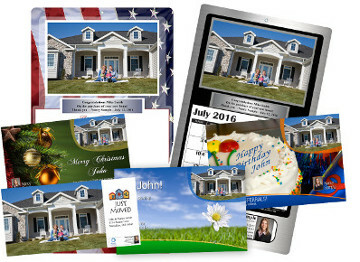 I am a Real Estate Agent in Pennsylvania and have been ordering Retain's products since 2009, my clients love them and I contribute some of my success to these calendars and postcards. Everyone who sees them, asks where and who they got them from, so by word of mouth, my clients are referring their neighbors, family and friends to me. For the price I pay to purchase these great products, I am delighted to order them and they make great “Thank You” gifts for clients. Retain Loyalty have been terrific in the final stage of our sales. Our customers always call or send us a note expressing their gratification in the gift. It is a great memento of the new chapter they are beginning in their lives. We have also had the calendars made for special Sellers where the homes were the place they grew up in and have fond memories. This way, the photo of their childhood home stays with them even if they are far away. It leaves a lasting impression and is a constant reminder for the client of who their special real estate agent was in helping them achieve their goal. Retain always delivers on time. My clients love the calendars and the great thing about it is that it's a 2 year calendar, so the client sees your face every day for 2 years. I always have great remarks about it. In my opinion marketing is not worth spending money if you don't put your face on it, and the calendar is the best way to make sure your clients don't forget about you. Please contact us to schedule a demo and learn more about the unique features of our program.